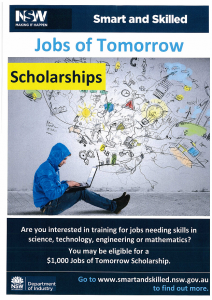 Apply for a ‘Jobs of Tomorrow’ $1000 scholarship! 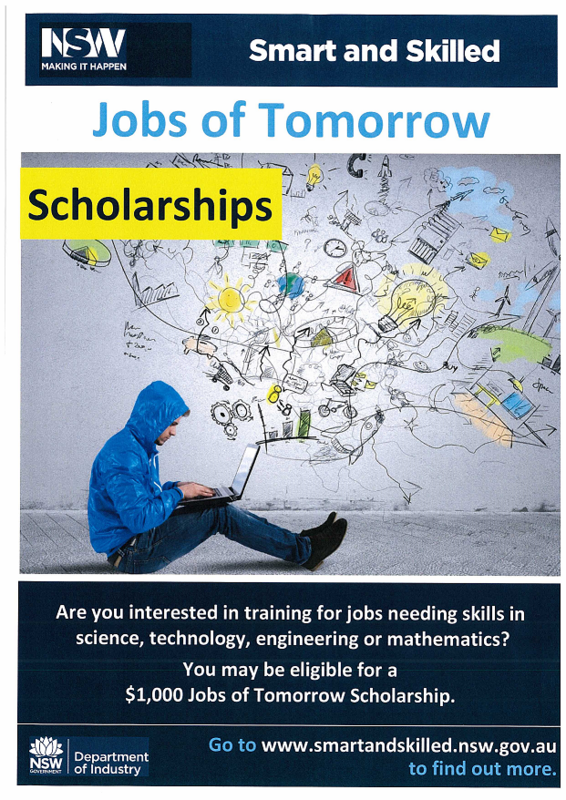 If you are a new TAFE student in 2016 in high demand vocational areas of Science, Technology, Engineering and Mathematics (STEM) you may be eligible for a $1000 scholarship. View the full list of eligible courses here and refer to the Smart and Skilled factsheet for more details. Welcome to Hunter TAFE for 2016! Sessions on how to use our many databases, catalogue and other online resources are also available. Remember when you get your assignments, that we can help you with referencing and bibliographies too. All of these sessions are useful for both new and continuing students. You will need a username and password to access computers at TAFE. Library staff can help you with this. Some campus libraries can also provide your TAFEcard for printing and borrowing. If you can’t get a card or password yet, library staff can provide you with a temporary library card or password for access to library resources and computers. Need to print, scan or photocopy? You can do this in the library. Ask library staff to show you how. Bring your TAFEcard if you have one already, and some cash to load onto it. All of our libraries have free wi-fi, and we can help you get connected.